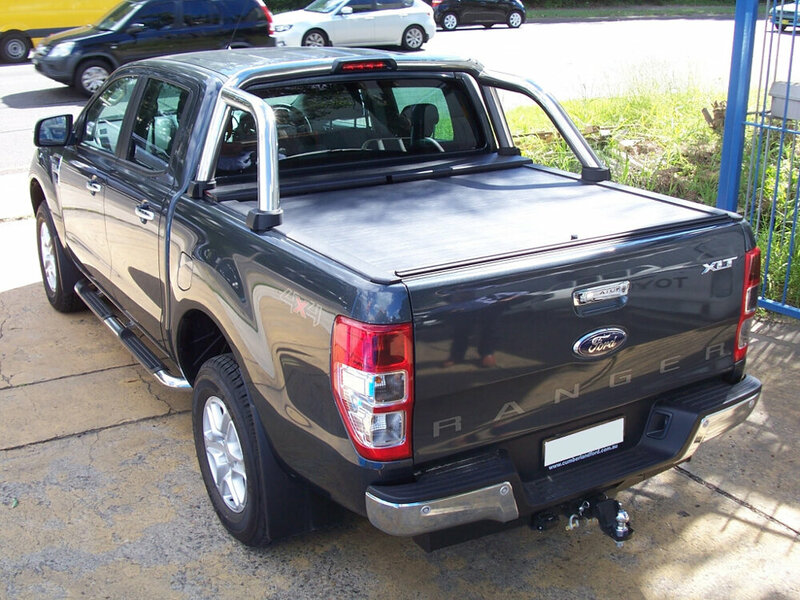 Whilst it provides complete security for your cargo, it can be easily retracted to enable the ute bed to be used for carrying any large items that you wouldn’t otherwise be able to carry. With this cover you simply retract it when you don't need it. The Roll-N-Lock cover is constructed from rigid inter-locking aluminium slats that are over-laminated with a heavy-duty, UV stable vinyl. 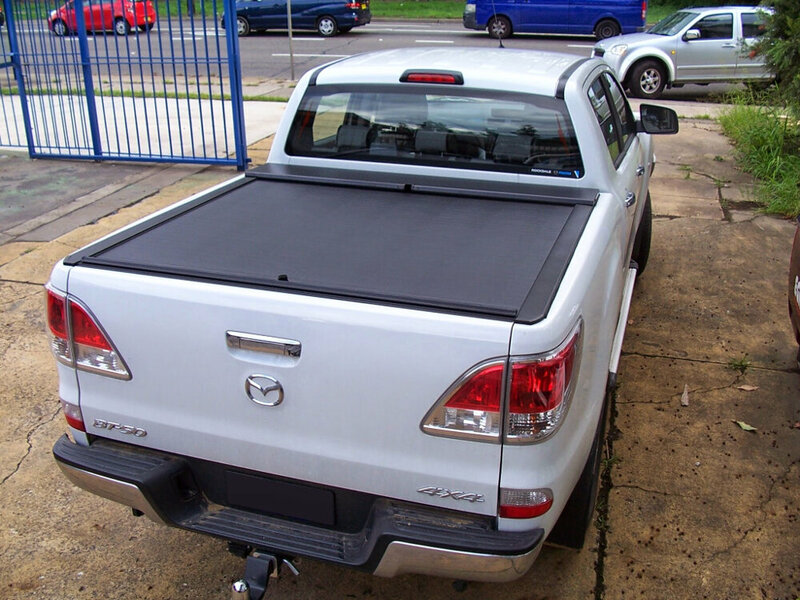 The cover simply retracts back under spring tension into a canister at the front of the ute bed, or it can be part-closed. Multiple Catch Positions: The Roll-N-Lock cover utilises a simple lock lever that enables you to set the cover closed at 1/3, 2/3 or fully closed positions. By pulling a simple draw strap you can position the cover exactly where you want it. There are a lot of reasons why the Roll-N-Lock is regarded as the “first in class” of retractable covers worldwide; security, installation and time-proven performance. 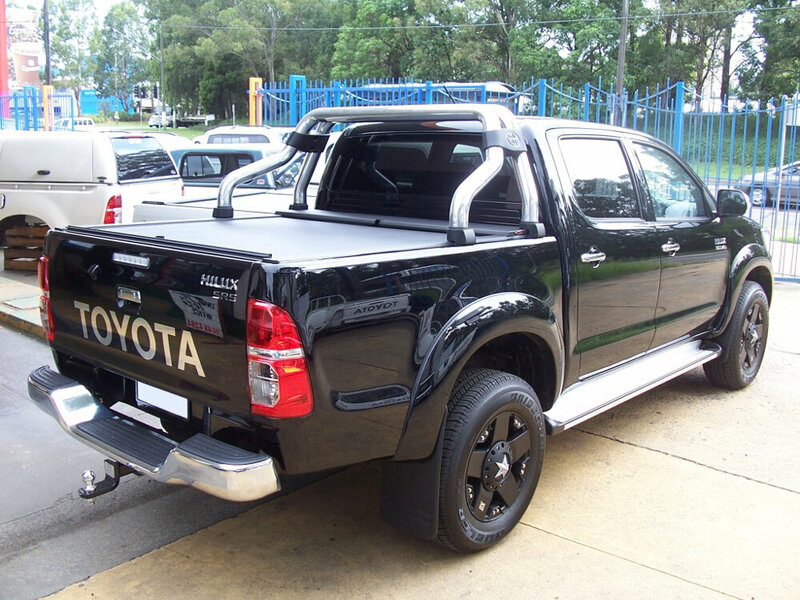 Roll-N-Lock covers have a centre key position and four locking catches that lock into the mounting rail as well the tail gate of the ute. It’s rigid, tough construction makes it extremely difficult to break into. 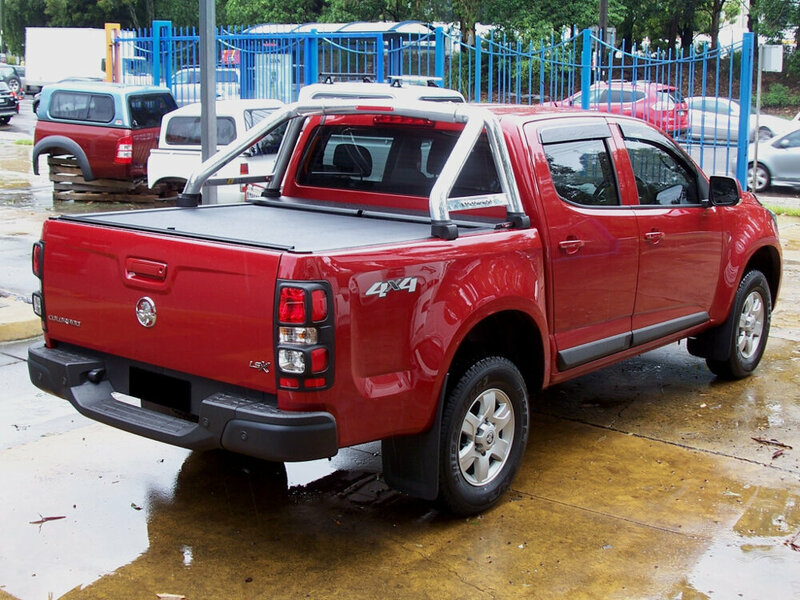 The Roll-N-Lock effectively provides a tailgate lock when the cover is closed. 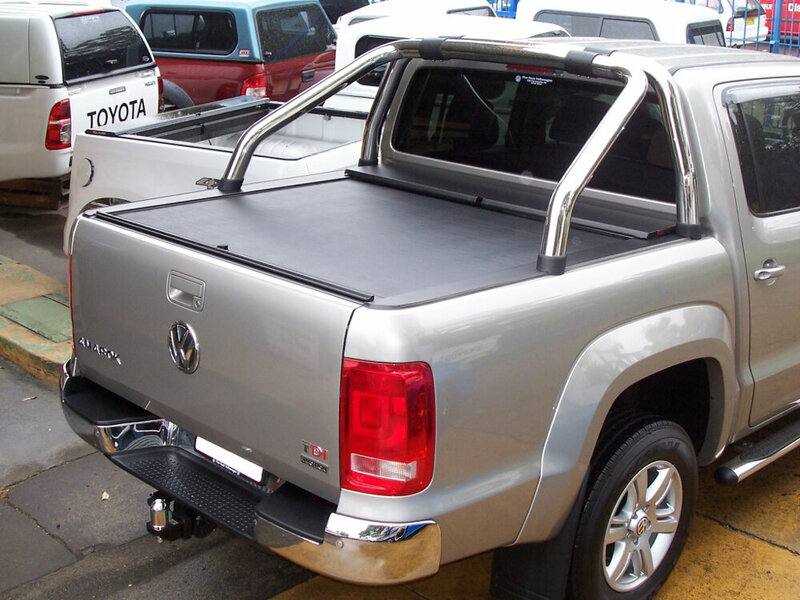 Installation is quick and easy utilising clamps that attach the roller tracks to the side rails of the ute bed. The housing for the retracted cover is very compact (approximately 200mm deep) which means there is very little loss of cargo space and long items can still be stored beneath the canister for the full length of the ute bed. Cargo Manager - The perfect companion! The Cargo Manager is an optional accessory that makes the perfect companion to your Roll-N-Lock cover. The Cargo Manager is a movable bed divider that fits the mounting rails of the Roll-N-Lock cover. This load-divider can be re-positioned every 75mm along the length of the ute bed to manage and contain cargo items. It can be flipped up into horizontal position if long items need to be placed in the cargo space beneath. 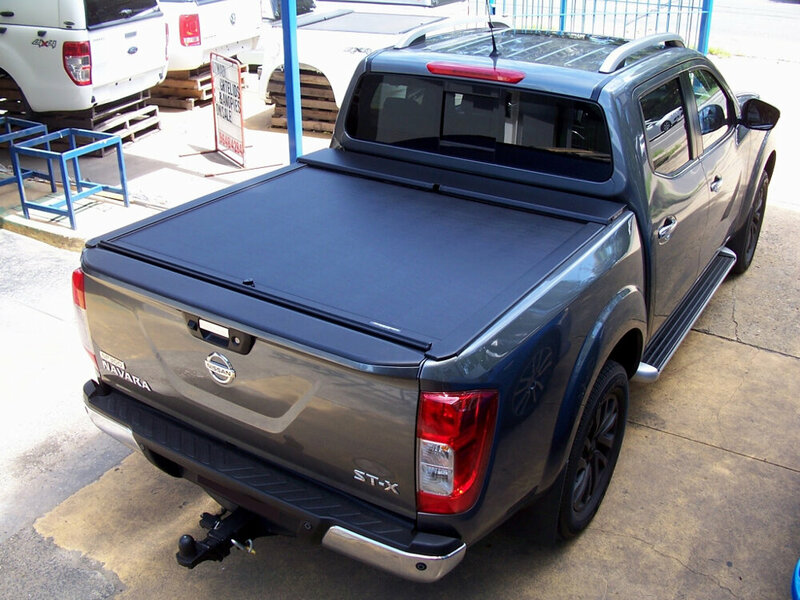 This dynamic product combination gives you not only the ability to cover and secure the contents of the ute bed, but also prevent objects from shifting around in the bed when driving.